The U.S. is "disappointed with the lack of apology" from Israeli Army Minister Moshe Ya'alon, the U.S. State Department spokeswoman told reporters on Friday. "We still have remaining concerns about Ya'alon's pattern of behavior," Jen Psaki said during a press briefing. "I think we clearly expressed our displeasure by his offensive comments and an apology would be a natural next step." 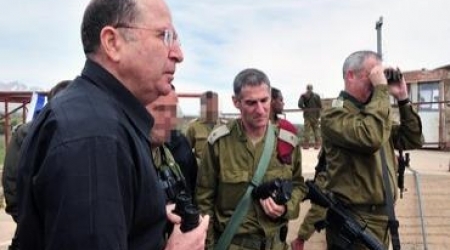 Psaki added, however, that Ya'alon's comments don't reflect U.S. relations with Israel. Washington has been incensed at the Israeli army minister since he leveled harsh criticism at the Obama administration in an address at Tel Aviv University, reported in Haaretz on Tuesday. Ya'alon said the United States "shows weakness" in various arenas around the world – including Ukraine – and that its allies in the Middle East are disappointed. Ya'alon said that because it is "sitting at home," America is opening itself up to terror attacks "and the United States will suffer." Following a telephone call between U.S. Secretary of State John Kerry and Israeli Prime Minister Benjamin Netanyahu and a personal talk with the Israeli prime minister, Ya'alon reportedly apologized to his American counterpart Chuck Hagel, saying, among other things, that there was no defiance, criticism or intention to hurt the United States or Israel's relations with its ally with his words. However, in its statement following the Ya'alon-Hagel talk, the U.S. Defense Department refrained from referring to Ya'alon's statements as an apology, instead saying that Hagel said he thanked Ya'alon for the clarification, and appreciated what Ya'alon had to say about his commitment to those relations. 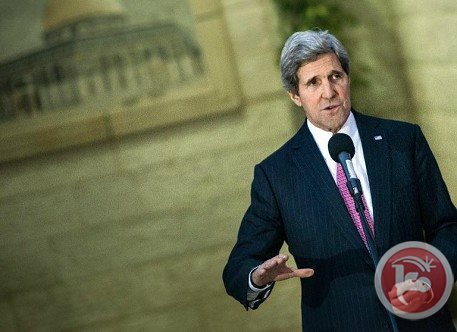 In January, Ya'alon raised the ire of fellow Israeli politicians and the U.S. State Department, after he was was quoted by the Israeli daily Yedioth Aharonoth calling Secretary of State John Kerry "obsessive and messianic," adding that he hoped Kerry "gets a Nobel Prize and leaves us alone." Palestinian president Mahmud Abbas demanded in talks with US President Barack Obama that Israel free key Palestinian prisoners, including Marwan Barghuti, a Palestinian official said Thursday. Earlier this month, Abbas said Palestinians will not agree to extend peace talks with Israel beyond their April 29 deadline without Israel releasing more prisoners beyond the fourth and final tranche planned for later this month. During his meeting with Obama in Washington on Monday, "President Abbas demanded the release of more prisoners and Palestinian leaders in Israeli jails, like Saadat and Barghuti and Shubaki," manager of the Palestinian prisoner club Abdulal al-Anani told the official Voice of Palestine radio. He was referring to Popular Front for the Liberation of Palestine leader Ahmad Saadat, former Palestinian Liberation Organization finance official Fuad Shubaki and Marwan Barghuti, one of the main architects of the 2000 intifada. Also on Thursday, an EU parliamentary delegation urged Israel to release long-term Palestinian prisoners, saying it was crucial to move a fragile Middle East peace process forward. "We believe that the release of prisoners... is central to the peace process," said Emer Costello, who headed the EU delegation on a three-day fact-finding mission on Palestinian prisoners held in Israeli jails. The visit of four EU MPs came as Israel was mulling whether or not to release a final batch of long-term Palestinian prisoners under its commitments to US-brokered peace talks. Israel agreed to release a total of 104 prisoners when talks kick-started by US Secretary of State John Kerry began in July. It has freed 78 so far, but Israeli ministers have warned that should the Palestinians not agree to extend talks beyond their April 29 deadline, they will not release the remaining inmates as scheduled on March 29. "We would certainly hope that those prisoner releases would continue and would take place. It is important as well that there are people in custody who are actually pre-Oslo," Costello said, referring to inmates who were supposed to be released under the 1993 Oslo peace accords. Costello said Israel had barred the delegation from visiting the prisons, confining the trip to meetings with Israeli MPs and local rights groups. 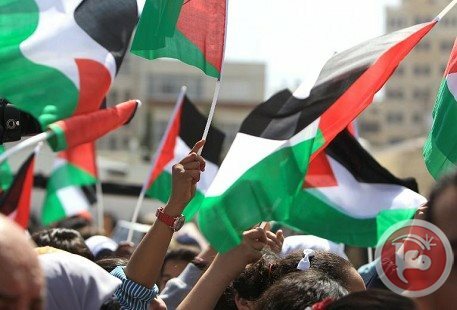 The release of 78 long-term Palestinian prisoners since July has been welcomed by Abbas and by the public, especially jubilant families of the inmates, who saw their internment as political. 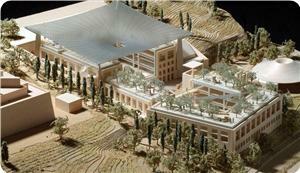 But it has angered bereaved Israeli families, whose relatives were killed at the hands of some of those released. President Mahmoud Abbas pledged Thursday to commit to Palestinian fixed principles in a speech he delivered to thousands of supporters in Ramallah. 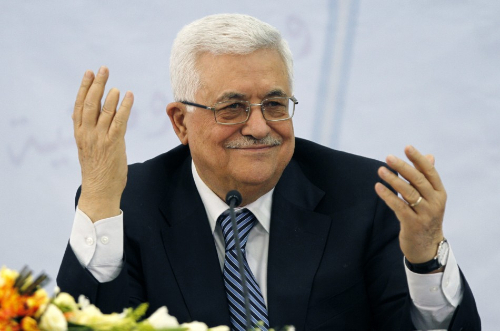 Abbas stressed that he will not give up the Palestinians' rights or betray their trust. 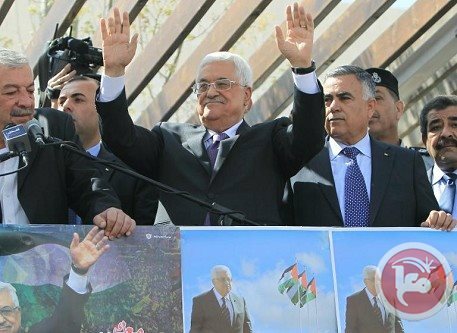 Abbas made these statements to thousands of Palestinians who staged a rally to welcome him back from Washington at the Presidential compound (al-Muqataʻa) in Ramallah. Commenting on his recent official visit to the US and meeting with US President, Barack Obama, Abbas said: "I have honored my pledge and kept my promise." Speaking to Obama in the White house, Abbas had affirmed that he is interested in reaching a just and lasting peace that guarantees the rights of the Palestinian people and the establishment of an independent and sovereign Palestinian state based on 1967 borders with East Jerusalem as its capital as well as finding a just and lasting solution to the refugee problem. Thousands of Palestinian supporters staged rallies in several cities across the West Bank in support of Abbas. They urged Abbas to resist calls to make concessions, especially on the issue of recognizing Israel as a 'Jewish state'. It is not Yaalon's first diatribe against the administration of President Barack Obama and Kerry himself. In January, the State Department denounced as "offensive" comments made by the minister accusing Kerry of an "incomprehensible obsession" with his push for Middle East peace. Yaalon was later forced to apologize to the top US diplomat, who has been trying to hammer out for the past year a comprehensive peace treaty between Israel and the Palestinians. In an address to Tel Aviv University, Yaalon was quoted as saying Tuesday that if the United States continued to demonstrate weakness overseas, its own security would be harmed. "If you sit and wait at home, terrorism will come again," the Haaretz daily quoted him as saying. "If your image is feebleness, it doesn't pay in the world... I hope the United States comes to its senses. If it doesn't, it will challenge the world order and the United States is the one that will suffer." He also toughened his line on Iran and appeared ready to back an Israeli military strike. "We had thought the ones who should lead the (military) campaign against Iran is the United States... But at some stage, the United States entered into negotiations with them, and unhappily, when it comes to negotiating at a Persian bazaar, the Iranians were better," he said. 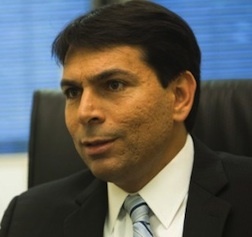 A day after the Israeli government announced a delay in the promised release of 30 long-term Palestinian prisoners, Israeli Deputy Defense Minister Danny Danon threatened, on Wednesday, to resign from his position if the release is carried out – a move which his critics claim is a political maneuver and not an actual threat. 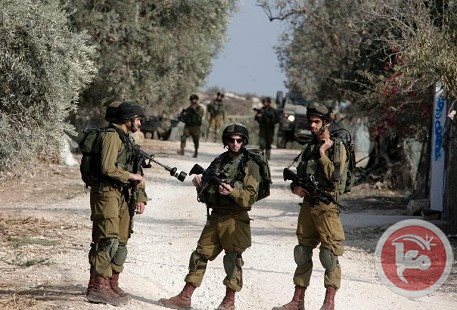 The group of thirty, all of whom have been imprisoned for over twenty years, are the third group of 104 prisoners promised their freedom under a deal negotiated between the Israeli government and the Palestinian Authority, based in the West Bank. The other two groups have already been released. However, although the third group is scheduled to be released on March 28th, an Israeli government official claimed on Tuesday that the release of prisoners may be delayed, due to a lack of progress in the so-called 'peace negotiations' led by U.S. Secretary of State John Kerry. 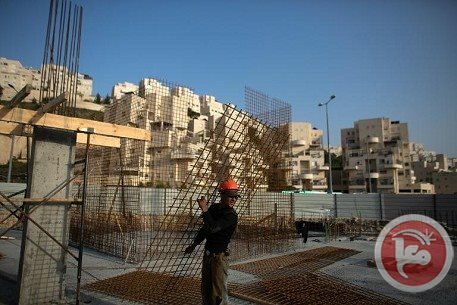 Tuesday's statement by Israeli Economy Minister Naftali Bennett was announced on Israeli Army radio. Palestinian negotiator Issa Qaraqe said that any such delay would be considered 'political blackmail' by the Israeli government against the Palestinians. The statements by both ministers come in the midst of a political fissure in the coalition of parties which make up Israeli Prime Minister Binyamin Netanyahu's government. Naftali Bennett is the leader of the religious right party 'Jewish Home', which boycotted a session of the Israeli legislature on Wednesday, in protest of a bill pushed by Netanyahu regarding conversions to Judaism. Danon is a member of the right-wing faction of the Likud party, which will be holding its annual party summit three days after the planned prisoner release. At the summit, Danon will be debating Netanyahu and likely proposing a plan to split the Likud party. 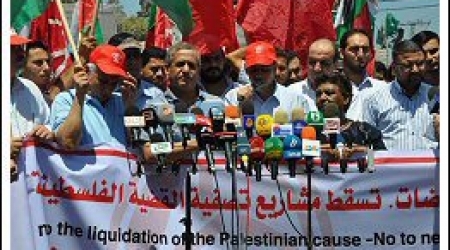 PLO Executive Committee member, Dr. Hanan Ashrawi, stressed that, " Since the "peace process" began in 1991, Israel has created prejudicial facts on the ground, and the same pattern emerges in the talks that began last July which have provided Israel with the cover and time to violate international law and human rights at the expense of the Palestinian people." Ashrawi's statements came during a meeting with the 2014 student-lend Palestine Trek group from Harvard University on Tuesday in the West Bank city of Ramallah; Ashrawi welcomed the participants to Palestine and informed them with the Israeli violations. She said, "In the past nine months alone, Israel has escalated its illegal settlement campaign in and around Jerusalem, implemented policies of systematic ethnic cleansing in Occupied Palestine and in Israel, demolished Palestinian homes, expelled hundreds of Palestinians from Area C, carried out the extra-judicial killing of fifty-seven Palestinians, and arrested more than 3,000 Palestinian civilians. In order for the negotiations to succeed, they must contain substance, credibility and a connection to reality." "As long as the United States and other members of the international community fail to bring Israel to compliance, Israel will continue to violate international and humanitarian law," Ashrawi added. Ashrawi answered questions on the ongoing negotiations, Israel's facts on the ground, the status of women in Palestinian society, and the role of Israeli and American public opinions, respectively. 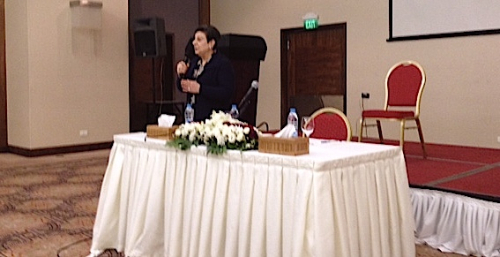 On March 17, Ashrawi addressed a visiting delegation representing the Open Society Foundations at the PLO Headquarters in Ramallah. Both parties discussed the status of education in Palestine, secondary, university and professional education, technical and life-long training, areas for development, means and methods of training and research, and issues of mutual concern and cooperation. President Mahmoud Abbas' son, Taraq, says in an interview with The New York Times, that he prefers a one-state solution where Palestinians would share equal rights with Jews. Tareq believes that the negotiations are Fruitless, and the chance for a two-state solution is long gone. "If you don't want to give me independence, at least give me civil rights," He said. "That's an easier way, peaceful way. I don't want to throw anything, I don't want to hate anybody, I don't want to shoot anybody. I want to be under the law." Abbas junior belong to a growing faction in the younger Palestinian generation that sees a one-state solution as the only viable way of settling the conflict. According to a poll by the Palestinian Center for Policy and Survey Research, 65 percent of people over 50 supports the two-state solution, while only 47 of the 18-35 year olds does the same. 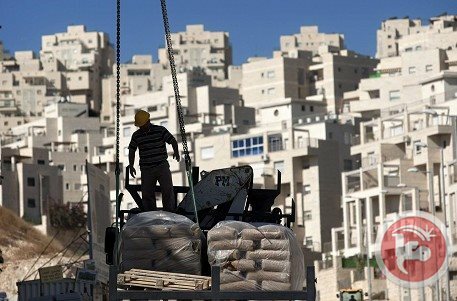 The center's director, Khalil Shikaki, reported that a third of the Palestinian population expressed a desire for the one-state solution, but the backing from those under 45 are more solid. Mr. Shikaki elaborated with his views on the poll; "The views of my generation were formed during the heyday of the Palestinian national movement; [my son's] views were formed during the failed years of Oslo, the days of perceived Palestinian Authority corruption and tyranny, the Internet and social media," He further added, referring to the Oslo accords; "We are pragmatic; he is idealistic. We demand independence and sovereignty; he demands equal rights." In a binational state the Arab Palestinians would be in majority, counting the millions of refugees, that would return. Tareq Abbas' opinions comes from frustrations with the current economic situation in Palestine. As a business man, he has experienced a lot of difficulties with the occupations restrictions on import, export, work permits for foreigners etc. 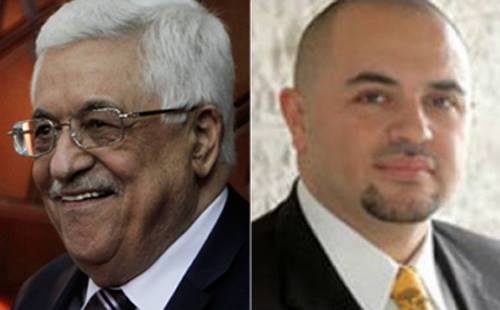 The views of Abbas junior stands in contrast to his fathers, who at the moment is in Washington D.C. to discuss the peace negotiations with U.S. President Barack Obama. WASHINGTON -- The United States is using unprecedented language to condemn Israeli Defense Minister Moshe Ya'alon after he continued weeks of criticism of US President Barack Obama, and members of his foreign policy team, on Tuesday. “We were shocked by Moshe Ya’alon’s comments, which seriously call into question his commitment to Israel’s relationship with the United States," a senior administration official told The Jerusalem Post on Tuesday night. "Moreover, this is part of a disturbing pattern in which the Defense Minister disparages the US Administration, and insults its most senior officials." Ya'alon said on Tuesday that, in light of developments on crises in the Middle East, relations with China and with Russia over the annexation of Crimea, Obama's "image in the world is feebleness." 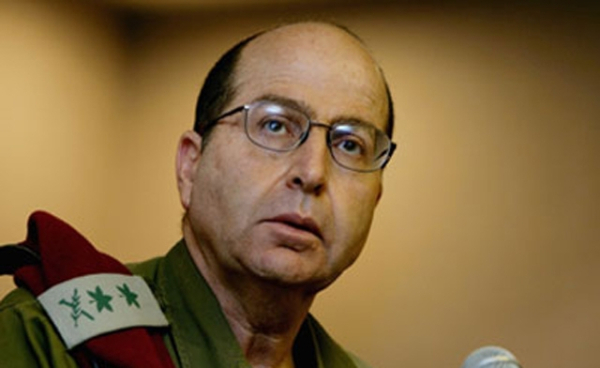 Ya'alon sensed "disappointment" in the world community, he said at Tel Aviv University. "Given the unprecedented commitment that this administration has made to Israel’s security, we are mystified why the Defense Minister seems intent on undermining the relationship," the official continued. The defense minister also implied that US policy on Iran was pushing Israel to plan for war, should talks over its nuclear program fail in Vienna. "At some stage the United States entered into negotiations with [the Iranians], and unhappily, when it comes to negotiating at a Persian bazaar, the Iranians were better," Ya'alon said. Ya'alon's criticism of the US administration was extensive: he suggested the White House "come to its senses," or else risk new terrorist threats from around the world. "Look what's happening in Ukraine, where the United States is demonstrating weakness, unfortunately," he continued. The comments come just weeks after Ya'alon was criticized for calling US Secretary of State John Kerry "messianic" for his fervent pursuit of peace between Israel and the Palestinians. The State Department demanded an apology for those comments, which he delivered at the time at the insistence of Prime Minister Benyamin Netanyahu.